Description: Who needs strictly combed hair when your crush is a wild rebel like you? There's no need for your hair to be 100% perfect. Be yourself on Hero's Heart Day. Hearts are Color Custom to Trim Color. Kawaii (かわいい) means " lovable, cute or adorable" in Japanese. 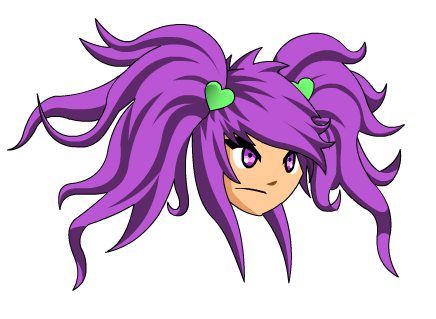 This item is a parody of Junko Enoshima from Dangan Ronpa. Kawaii Cupid Locks (AC) (2). Kawaii Cupid Shag (AC) (1). Kawaii Cupid Shag (AC) (2).